Ernesto Rogata is a senior video editor for Sky Production Services (SPS), the division that handles all of Sky's post-production needs. With 90 to 100 editors working at any given time, these needs are massive. 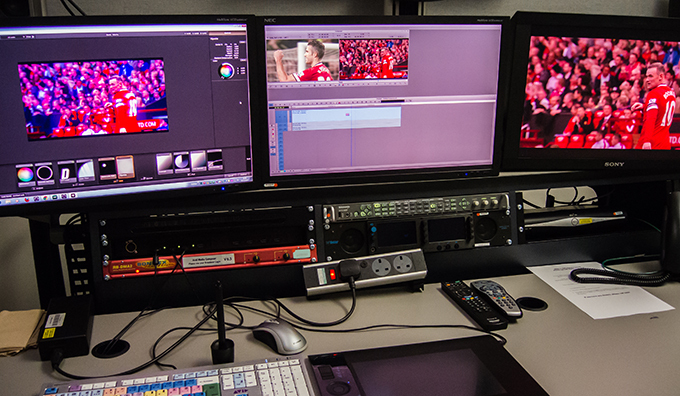 When it comes to sports, pre- and post-production can be as action-packed as the games themselves. Ernesto explains, "When you are at the OB (Outside Broadcast) truck and the director is asking 'Where is the opener? We are 20 minutes to air.' You need to be confident that the tools you are using don't crash and don't let you down - because you only have 20 minutes to send this piece to the director before everything goes wrong." 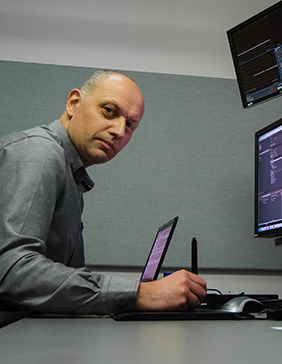 To avoid any untimely crashes while producing engaging footage that is in line with Sky's reputation, Ernesto uses Red Giant software in conjunction with Adobe After Effects and Avid. When working on the OB truck, it's Ernesto's job to create the sequences that lead up to the start of any game or match. In mere seconds he and his colleagues must capture the emotion that will soon play out. 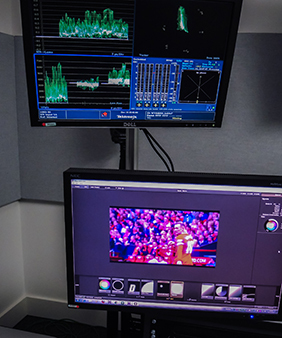 To do this, he uses Red Giant's Color Suite, which offers six essential tools to help set the mood for Sky's sports inserts. "You are warming up your audience for the big game with the best 20 seconds of shots and music. It's giving the audience that little bit of 'shiver down the back' before it all starts," Ernesto says. "Red Giant products are so powerful. We can make the shots bold or very stylistic - it's basically a statement that we are making. And when it comes to grading and color correcting, and stylizing those shots, we use a lot of Magic Bullet Looks and Mojo." According to Ernesto, tools from the Red Giant Color Suite allow him and his colleagues to color correct very effectively and very quickly, applying a grade and style that the Sky audience has come to know throughout the years. "As soon as they see something, an opener for example, before the event even starts they know already this is a Sky opener, they recognize the style and the way the shots are created. Even more specifically, we use Magic Bullet Looks because it's very powerful, very easy to use and, most importantly, it's reliable - it does not crash. Even with all of the filters and effects we pile on, it renders quickly in full HD. So when the director is shouting, and we've got 20 minutes to deliver, we're confident we will make it happen." Back at the Sky headquarters in West London, SPS has much more time to cut openers and promos, which means more time to incorporate effects using Red Giant tools. The post-production team uses tools like Trapcode and Magic Bullet Looks extensively, adding subtle yet beautiful effects to Sky's documentary and entertainment programs. But for Ernesto, Red Giant products are always at hand for SPS's post-production needs. "These are really good, really strong plugins that we use every day. That's the bottom line. I rarely see a Sky piece that hasn't been affected at least partially by some of the plugins sold by Red Giant."